"My bowstring is flaying a bit on the tips. Should I be worried about it?" Not really. Bowstrings are designed to be multiple times stronger than the bow itself. A few strands flaying is not a big concern. 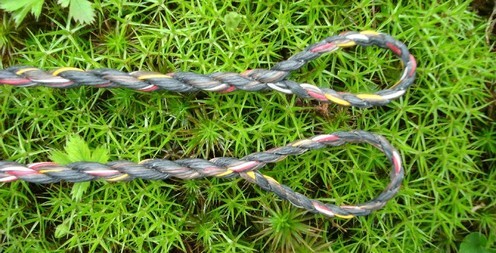 Individual strands have their own weight allowance. Eg. 20 to 40 lbs per strand. So if your bowstring has 16 strands and they can withstand 40 lbs per strand then its max weight is theoretically 640. 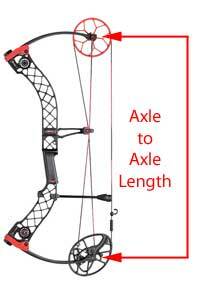 Since strands can flay / snap it is desirable to have a max weight that is many multiples of the bow's weight. If two strands flay the bowstring is still usable because it still has 560 left. If half of the strands flay it is probably time for a new bowstring. The individual strength of strands can vary wildly between the type of material. Some materials might only be 20 lbs per strand, 25, 30, etc. So for example a particular brand might only be 20 lbs per strand, but might also be physically lighter, and/or more/less likely to stretch. With 16 strands that bowstring would be able to withstand 320 lbs, which is still abundantly more than the bow itself, but might have the advantages of less weight and stretching less. To save weight / add speed some archers will also make 14, 12 or 10 strand bowstrings. Thinner bowstrings means it will require more serving for the nocks. You may also notice differences in sound, arrow flight accuracy, nock looseness/tightness, bowstring stretchiness effecting brace height, how easily strands flay, and differences between the types of materials you are using (dacron, fastflight, more traditional materials). For those people who want to gain extra speed / accuracy they may want to consider learning how to make their own bowstrings using better quality materials so they can learn how to optimize speed by lowering the physical weight of the bowstring. 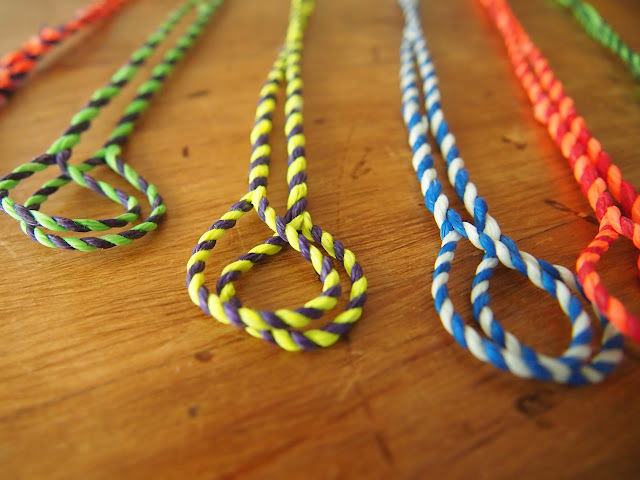 If you do decide to do that, a good place to start is to learn how to make a Flemish Twist bowstring. My condolences go out to the families of the three people murdered in Scarborough around 1 PM today with a crossbow. For more details about that incident read Triple Crossbow Homicide in Scarborough. I was contacted earlier today by the radio station Newstalk 1010, which had a number of questions about crossbows. The discussion sparked a number of frequently asked questions about crossbows, however the conversation was relatively short and I don't feel like we covered all the FAQ people would possibly like to know. To allay the concerns of my fellow Torontonians here are some frequently asked questions and the corresponding answers. In short, very dangerous. Hunters in Ontario commonly use them for shooting black bears, elk, moose and large game. So they are very lethal. How easy is it to buy a crossbow? Very easy, provided you are over 18 years of age. They are available at most hunting/fishing stores, and can even be purchased at Canadian Tire or Walmart or similar stores. I doubt that some stores like Walmart even routinely check for ID when people are purchasing crossbows, because the staff working there may not know the laws about selling crossbows to minors. The minimum poundage for a hunting crossbow in Ontario, by law, is 150 lbs of force. Which is a lot of kinetic energy when you compare to other types of bows. For example if someone was shooting a normal bow (compound bow, recurve bow, longbow, etc) then the minimum legal requirement is 39.7 lbs when hunting deer or smaller game. For larger game like elk, moose and black bear the minimum is 48.5 lbs. So when you compare to normal bows, crossbows are incredibly powerful. Anything smaller than 150 lbs is considered to be a "youth crossbow" and is illegal to hunt with. Some crossbows are exceptionally powerful, like the "Excalibur Matrix 405", which has a 290 lb draw weight and a speed of 405 feet per second when firing 350 grain crossbow bolts. Note, there is no legal limit on how powerful crossbows can be. Hypothetically a hunter could use a ballista to hunt deer. How easy is it to make your own crossbow? These days, very easy. If a person had a 3D printer they could print the stock needed to make the crossbow, and then they would just need to attach a bow of somekind to the front, made out of wood or high tensile steel or a steel alloy. (Modern crossbows are usually made out of metal.) Failing that a person could also just build their own out of wood and metal, total cost would be less than $50 for all the parts. The hardest part to make would be the trigger mechanism. How fast or slow is it to load and reload a crossbow? This is the Achilles heel of crossbows. Typically, they are VERY SLOW to reload. A typical modern crossbow in the hands of an experienced crossbow enthusiast could be reloaded perhaps twice per minute using a foot stirrup and a cocking rope. Three times per minute if it was a very light poundage crossbow and/or the person operating it was quite strong. A slower but easier method would be to use a windlass handcrank, in which case expect perhaps 1 shot per minute. 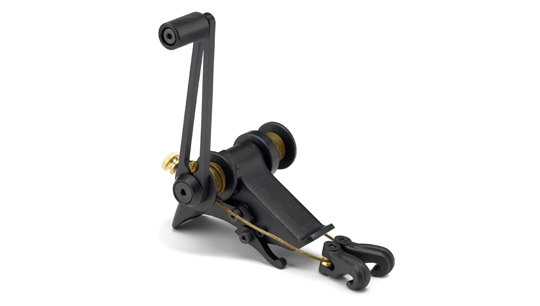 Using a windlass crank is more common with any of the really heavy poundage crossbows, like the one shown below. How do crossbows compare to other kinds of weapons? Due to their slowness, crossbows are not the greatest weapons. They are easy to use, as any person can basically purchase one, practice with it a few times and learn most of what they need to know to be able to competently shoot one. However due to their slow speed, they have historically done poorly when compared to other weapons. There are a number of historical battles during which large numbers of French crossbowmen were utterly decimated by a comparatively small number of English longbowmen simply because the longbows could be quickly reloaded and fired with ease, whereas the crossbows took a ridiculously long time to reload. You would think based on sheer numbers the French would have won those battles, but they underestimated how quickly English longbowmen could reload and how slow their own forces were at reloading. A crossbow would be a very slow and inefficient weapon to use in close combat. Compared to other kinds of weapons, if being used in close combat, an axe, a sword or even a hatchet or dagger would be a more efficient weapon. For example, in January 1969 in Buffalo Narrows Saskatchewan 7 people were massacred with an axe. It is one of the largest massacres in Canadian history that didn't involve firearms. It makes you realize just how much firearms play a role in large massacres, such as the École Polytechnique massacre in 1989 which killed 15 people, using a semi-automatic rifle and a hunting knife. As a sniper weapon, the crossbow excels. It made Swiss crossbowman William Tell famous after he was forced to shoot an apple off of his son's head, and later escaped and used the same crossbow to assassinate the Austrian reeve Gessler - an act which sparked the Swiss rebellion and eventually the creation of the Swiss Confederation. Should crossbows be restricted or banned or require a license to purchase? They already face the restriction of age to purchase a crossbow, but it would be worthless to try and require a license for crossbows. It is difficult to estimate how many crossbows are in Ontario, but if perhaps 1% of people in Ontario owned a crossbow it would be 136,000 crossbows - and most of them are probably collecting dust in basements, closets, attics, garages, etc. Some people may have even forgotten they have one. That would be 100s of thousands of people for the province to try and regulate for a hunting tool that is mostly used only for hunting, and hunters typically are not fond of change and would protest strongly against any proposed restrictions, bans or licenses for crossbows. European nobility tried to ban the crossbow during the Middle Ages, with little success. At the time it was considered to be too easy of a weapon to manufacture and thus also made it really easy to assassinate nobility, hence why they tried to ban it. Their attempts to do so didn't really work however and the popularity of crossbows later waned with the advent of firearms. Ontario would face the same problem. Crossbows are simply far too easy to manufacture. Especially these days with 3D printers that could make the stock and then it just needs the bow and trigger mechanism. Trying to ban them would be useless as criminals with evil intent would always find a way to purchase or make their own weapons regardless, hence the current problem with 3D printed firearms. Yes, crossbows are dangerous. But they are a bad choice to be used as a close quarters weapon and typically are very slow to reload when compared to firearms or even other kinds of bows. As details of today's massacre are revealed we learn that it took the murderer 5 minutes to load and reload and kill the three people in the garage and injure a fourth person by stabbing him. That lengthy time leaves a lot of questions unanswered. Why did the people not simply rush him while he was reloading? What other weapons did he have handy? Did he have a handgun on him too, but chose to use the crossbow because it was quieter? Why did none of the neighbours who heard the screaming come and investigate the cause of the screaming? Why did the murderer choose to use a crossbow when other weapons are faster and more efficient? What was their motive for committing the murders? Why did they also leave a suspicious package down at a condo at Queens Quay and what was inside the package? Explosives? There are way too many unanswered questions at this time. We hope that police can release more details about this incident soon and that it is hopefully an isolated incident. My condolences go out to the families of the three people murdered. All life is sacred. Archery Question - Does the size of the bow matter at all? Thank you so much for the [archery equipment] information and help, I'll start looking around based on the information that you provided and hopefully this week we'll be able to get our own equipment. Does the size of the bow matter at all? I noticed that the sizes vary from 60' to 66', I'm not sure if the size matters as long as we get the proper poundage. Yes, to some extent it does matter. Longer bows are known to be more forgiving accuracy wise, meaning you can make a small mistake and it won't be too far off. Shorter bows are generally less forgiving, so if you make a mistake it will often be a more dramatic difference. Coincidentally this also applies to compound bows too, hence why many compound shooters like longer axle-to-axle compound bows because they are more forgiving of mistakes and thus more accurate. That said, it is a trade-off because some hunters prefer smaller bows which are more maneuverable through thick brush and weigh less. 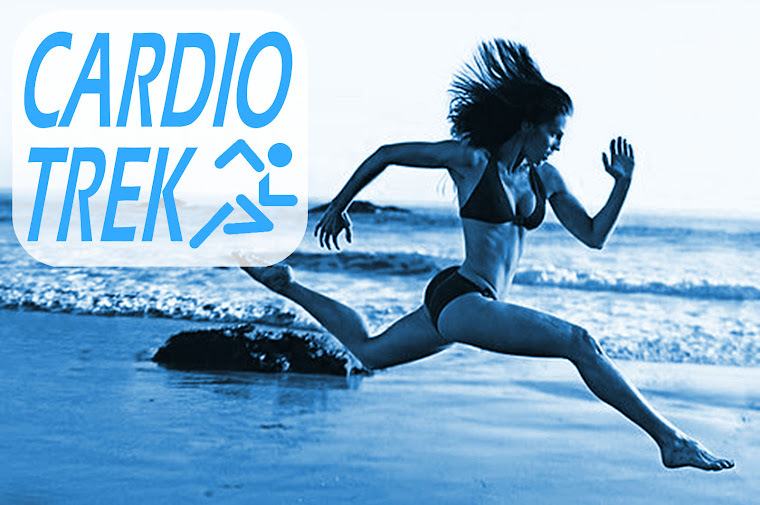 "I have a few sessions coming up with a personal trainer. Is there anything specific I should ask him to do to help with my back strength? I am keen to get beyond the 18 -20 lb kiddie strength mark. 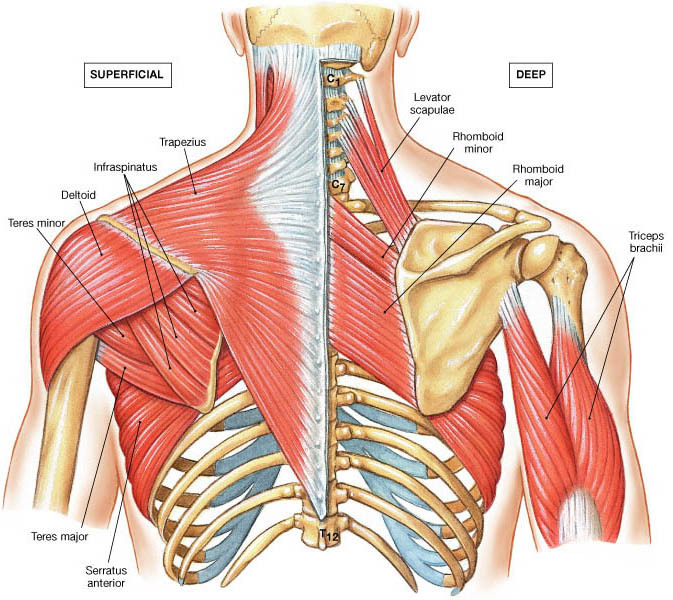 If you are shooting regularly (once or twice per week) you will be building muscle in those places and eventually 20 lbs will feel easy and you will feel the urge to move up to 25 lbs. If you are not shooting regularly however, exercises that target the above muscles will be beneficial. I should also note that archers regularly benefit from all over exercise. 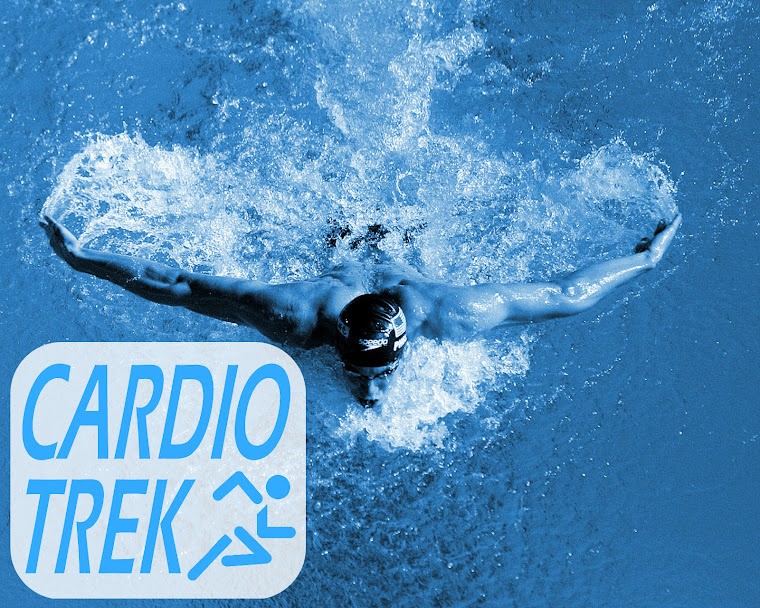 A stronger heart and lungs allows an archer to be more relaxed about their breathing and they are pumping oxygen-rich blood more efficiently to the muscles. Earlier today I answered an email from someone looking to get into archery but was on a tight budget. Fortunately I had already written a number of articles on the topic previously. DIY Archery Equipment on a Frugal Budget, which details how to make your own bamboo laminate bow on a tiny budget. Frugal Archery Equipment, Part Two, which is a guide to buying used equipment, the pros and cons of it, and what kind of equipment a person should be looking for. Optional Archery Equipment: Need or Don't Need is a list of optional equipment that people don't really need / can craft themselves with very little skills. eg. Sewing your own bow sock or knitting your own quiver. Years ago I also wrote a piece on the topic of "The Do-It-Yourself Approach to Archery Lessons", which explained a step by step approach to getting into archery and not paying for archery lessons. 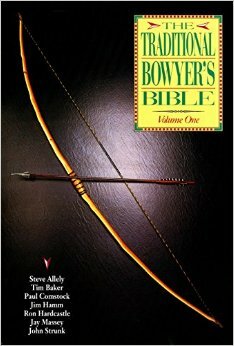 Step One, read the PDF for Volume I of the Traditional Bowyer's Bible. Henceforth referred to as "TBB". The PDF is available on Scribd and other sources. The most important chapter to read is the one on bow design. Reading the other chapters are also handy as you will learn quite a bit about archery and bow making from Volume I of the TBB alone, so you don't necessarily need to read Volumes II, III or IV. Some libraries might also have a copy of the book. Or if you know someone who already has this book perhaps you can borrow it from them. Whatever you do, find a way to read this book. Note: Make notes from the various things you learn. Step Two, determine what tools you actually have available that would be useful for bow making. Hopefully you will already have most of everything you need. If you don't ask to borrow some tools from some friends / family members. 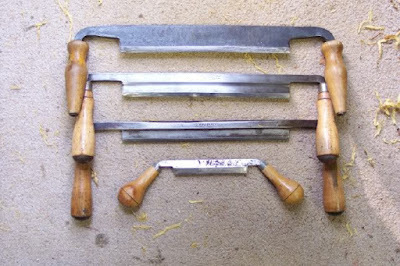 If you can get every tool you need without spending a penny then you will be in a good position to start bow-making. Step Three, acquire the raw materials to start building a bow. 1) Cutting down a small hardwood tree with the above mentioned axe, and then splitting the tree into several staves the correct length for bow-making. If you get four staves from one tree then you will have enough to hone your skills 4 times. 2) Finding a piece of old oak / hard maple or other kind of hardwood that is a good length and shape for bow-making. There is a chapter in the TBB which details what kinds of wood are good for bow-making. 3) Buy a piece of hardwood. I find oak is one of the easiest pieces of hardwood to find and work with, and it relatively inexpensive. 4) Getting a piece of bamboo instead of using wood. This might involve having to buy bamboo, as it is not something people normally throw out. If you go in the bamboo route you will want to research everything you can about making bamboo bows. I recommend starting by reading DIY Archery Equipment on a Frugal Budget, as I cover one method on how to make a bamboo laminate bow in that article. You will also need an extra piece of scrap wood for making a tillering stick. Total Cost: Varies or $0. Step Four, start bow-making using what you have learned in the Traditional Bowyer's Bible. Don't expect your first bow to work perfectly. In fact, expect your first bow to probably break. Pay attention to the tillering process and try to make a fairly light and easy to use bow. Don't try to make something really powerful like a "50 lb longbow capable of killing a bear" because chances are likely that bow will be sluggish, the arrows will fly really slow, and will be horribly inaccurate. A common beginners mistake is to try to make a powerful bow. Instead try to make something that is easy to use, takes about 20 lbs to pull to a draw length of 28 inches, and shoots the arrows nice and fast because that is really your end goal: A bow that shoots arrows quickly and accurately. After you've made several bows your skills will have progressed and you will have gone from having no bow-making skills to having a good start at learning how to make bows that shoot fast. Then you will be ready to try making something more powerful. Step Five, making arrows / etc. To make arrows and other archery equipment, you are basically just reading different chapters from the TBB and applying the same principles above. A scrap of leather for a shooting tab or an old pair of leather gloves to protect your hand. Buy or find the necessary parts for arrow making and fletching: Straight wood shafts + feathers for fletching + obsidian, flint, metal or glass for arrowheads. The blue glass arrowhead shown below is made using flintknapping. All you need is a piece of glass and something hard (eg. a large nail or bolt works well) to hit it with to begin the process of learning how to flintknap. But what if I don't want to make my own equipment? 1. 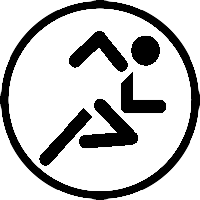 Buy equipment that is used. In which case I recommend reading Frugal Archery Equipment, Part Two. 2. Buy equipment that is new, but try to save money by making your own accessories. In which case I recommend reading Optional Archery Equipment: Need or Don't Need. 3. Borrow equipment from a friend who also does archery until you can afford to do one of the above options. Your friend is going to want the equipment back and if you break any of it, you will be expected to buy/replace anything you broke. 4. 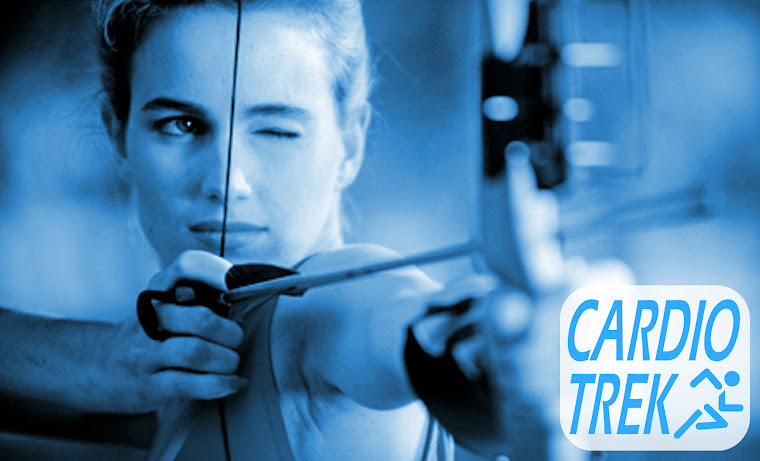 Ask friends / family members to get you archery equipment for your birthday / Christmas / etc. Be patient, that might take awhile to get everything you are looking for. 5. Sell / trade / barter old things you don't need any more to get archery equipment. That old bicycle you don't use any more? Sell it and buy archery equipment. Got more ideas on how to get or make your own archery equipment? Post your ideas in the comments section below.